Turkish President Recep Tayyip Erdogan has for the first time publicly accused the Saudi Arabian government of orchestrating the murder of Jamal Khashoggi at its consulate in Istanbul. In a Washington Post article, Erdogan said the order to carry out the killing of the dissident journalist had come from the "highest level" of the Saudi government. However, he stressed that Turkey wishes to maintain its "friendly" ties with the country, adding he did not believe King Salman was involved. Turkish investigators say Khashoggi was strangled to death at the Saudi consulate in Istanbul shortly after arriving to finalise his divorce. Despite an intensive search, his body has not been found. An aide to Erdogan, Yasin Aktay, said he believed it was dissolved in acid after being dismembered. The subsequent cover up attempts and string of untruths announced by the Saudi government in relation to the case have led many to point the finger at Crown Prince Mohammed, who is known to have a fractious relationship with his critics. 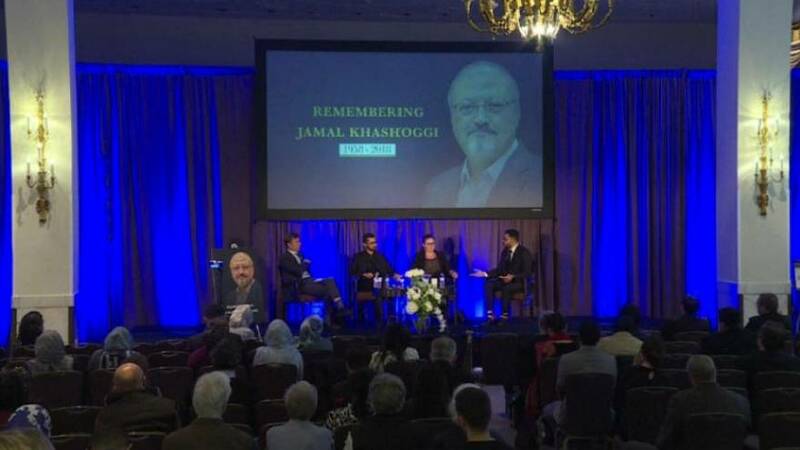 Speaking at a memorial event to mark four weeks since Khashoggi's disappearence, his fiancée - who was waiting outside the consulate building when the journalist enterred - spoke of the pain she felt at not being able to bury him. She said: "Nothing has relieved me of the pain from the atrocity I experienced. The most important reason for this is because his corpse has still not been found. "This is the smallest thing that one can do after a loved one has passed in the religion of Islam. And we still haven't been able to do that and our pain is still as fresh as the first day."